The myriad public artworks make for an inspiring breadcrumb trail on a stroll around the Docklands, where there’s something for everyone from foodies to footy fans, excited kids and shoppers with keen eyes for a bargain. Bring the family for a fun-filled day around the harbour. Catch a flight on the Melbourne Star observation wheel and take in spellbinding 360-degree views of Melbourne city, Port Phillip Bay and the Dandenong Ranges. Kids can try their skills on the ice at the O’Brien Group Arena skating rink, bump around in dodgem cars at Wonderland or spot Dame Edna on the Walk of Stars – Melbourne’s own walk of fame. Fill your trolley at Costco, then take a stroll to the Harbour Town Shopping Centre for designer threads, jewellery and children’s fashion. Wander leisurely through this open-air shopping precinct, combining discounted brands along with the latest fashion, designer and specialty stores. There’s a smorgasbord of dining options at Newquay, Victoria Harbour and Waterfront City, tucked in beneath luxury apartments, lining the marina and scattered around the office buildings. Indulge in Indian, Cambodian, Vietnamese or Thai, go mod-Oz, choose artisanal baked goods and locally roasted coffee, or cool off with a gelato and saunter along the jetty as the sun sets. Enjoy la dolce vita in village-like Carlton. Revisit student life with the uni kids, discuss the Il Globo headlines over espresso with the Italian stalwarts, take in a slice of Federation history, and eat till you’re fit to burst. 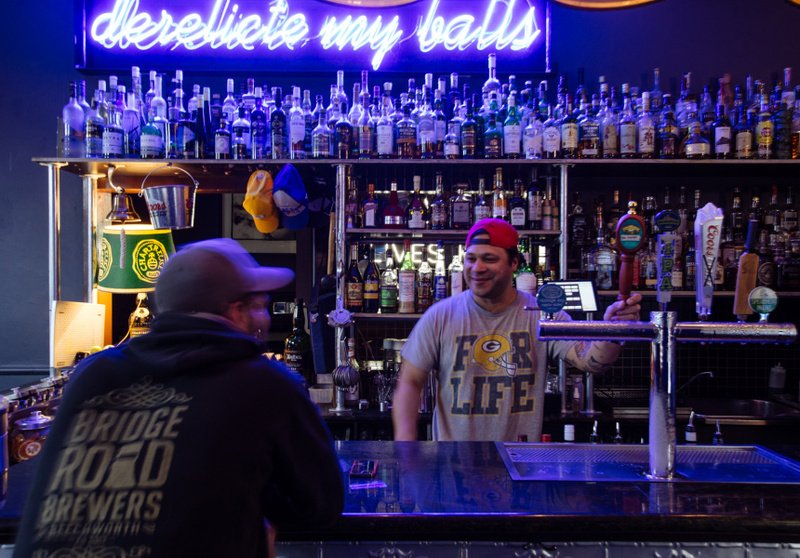 Lygon Street and its neighbours are going through a revival, and with new bars and eateries opening quicker than you can toss pizza dough, there’s plenty to discover, both old-school and new. At the southern end of Lygon Street, old-school Italian eateries decked out in F1 paraphernalia serve up more pizza and pasta than you can wave a flag at. Run the gauntlet of spruikers to strike a deal for a family meal (expect a warm welcome for bambinos) and park yourself under the umbrellas. 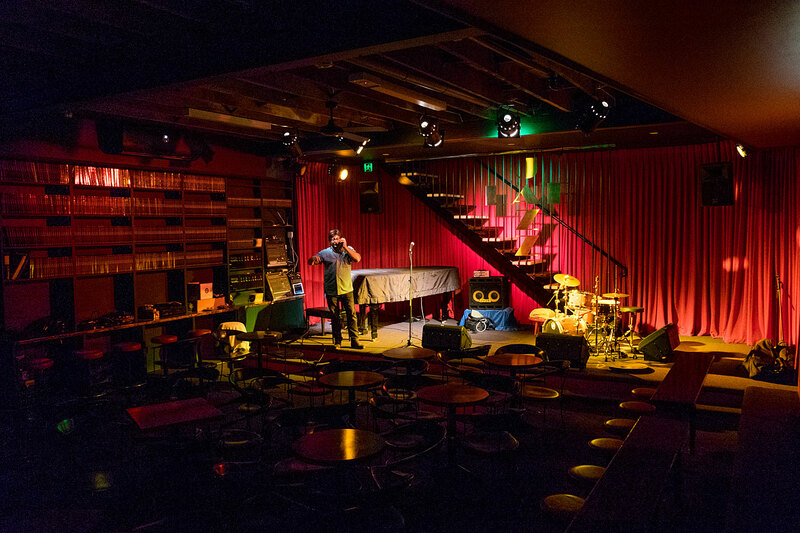 At the northern end, local institutions Ti Amo, Jimmy Watson’s and Trotters share street space with newcomers Heartattack and Vine, Milk the Cow and Wolf’s Lair. Wander beyond Lygon Street to discover plenty more: Epocha and The Town Mouse, both hatted by the Good Food Guide 2018, and Faraday Street’s Carlton Wine Room and D.O.C. Turn the corner to explore Elgin Street. It’s transforming at an amazing rate. 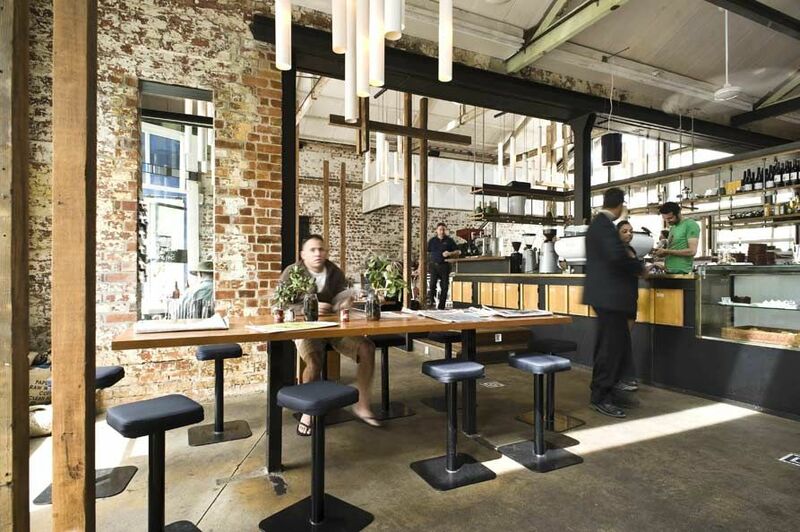 Getting good coffee is a safe bet in the neighbourhood credited with being the birthplace of Melbourne’s cafe culture. For a guaranteed cup of goodness visit roastery Seven Seeds. For accompanying sweet treats, try for a table Lygon Court’s shiny sugar emporium Brunetti or jostle with the crowds at one of Lygon Street’s many excellent gelaterias. Jump ahead of the game and get to know North Melbourne’s hottest properties before the word gets out about the innovative arts, edgy bars and cafes and welcoming community. Sit under the Victorian verandas around Errol Street for convivial brunches and afternoon drinks. Try Auction Rooms, Agraba, Rubicon, Rrose, Sosta and Grigons & Orr Corner Store. For a feast, make a booking at the Courthouse or Sosta Cucina, and for a summery courtyard tipple, vie for a spot out back at the Town Hall Hotel. Follow the tick-tock of the grand clock to the former North Melbourne Town Hall, now known as Arts House, a thriving performing arts space and hub for the Melbourne Fringe Festival along with the nearby Meat Market. Explore the changing exhibitions at Gallerysmith. Let your hair down at the Spring Fling Festival, the annual North and West Melbourne community celebration or head to the monthly North Melbourne Market at the Lithuanian Club for vintage and designer finds. Sometimes it seems all anyone does in Brunswick is hop from one new cafe to another, switching to bars toward evening and working up an appetite. Pull up a wood crate or designer chair and join the locals. Choose from stalwarts and newcomers among the ever-growing population of bars, restaurants and cafes on Lygon, Sydney, and Nicholson streets. Serious caffeine hits and brunches draw crowds of locals to Code Black Coffee, Small Block, Pope Joan, A Minor Place and Wide Open Road. Later in the day, hustle for a table at Lygon Street favourites Lady Carolina, Bar Idda, Rumi and Hellenic Republic. Beyond Lygon Street, Tom Phat, Los Hermanos and I Carusi are worth the wander. Sundowners turn into nightcaps at Mr Wilkinson, Mi Corazon, The Alderman and the Brunswick Green. Try a local brew at Temple Brewing Co., Thunder Road Brewery or The Alehouse Project. Live acts and DJs will see you and your best moves meet at the Cornish Arms, Spotted Mallard, Howler and the Retreat Hotel. Like every good inner city suburb there’s an indie sensibility about the art scene in Brunswick. Pascoe Vale is a suburb of Melbourne, Victoria, Australia, 11 km north of Melbourne’s Central Business District. Its local government area is the City of Moreland. Pascoe Vale was named after the John Pascoe Fawkner Estate, which was originally a holding of 709 acres (2.87 km2). The estate, established in 1839, was bounded by the Moonee Ponds Creek to the west, Gaffney Street to the south, Northumberland Road to the east and Rhodes Parade to the north. John Pascoe Fawkner built a timber house overlooking the creek, in the Marie Street area of Oak Park. Pascoe Vale is known for its many parks and gardens, including Cole Reserve, Austin Reserve, Kelvin Thomson Reserve and Gavin Park. The Moonee Ponds Creek is the major stormwater canal in the area and flows through several of its parks and gardens. Managed by the City of Moreland, the Pascoe Vale Swimming Pool, on Prospect St, is a popular venue during Summer. There are many take-away stores scattered throughout the suburb, including pizza, fish and chips, Kebabs and Chinese, noodles and bakeries. There are a few pubs open til late; the RSL on Cumberland Road and the Pascoe Vale Hotel, on the corner of Railway Parade and Fawkner Road. Glenroy is a suburb of Melbourne, Victoria, Australia, 13 km north of Melbourne’s central business district. Its local government area is the City of Moreland. Glenroy is located in the northwest of the City of Moreland, and is bounded by the Western Ring Road in the north, the Moonee Ponds Creek in the west, New Road, Victoria Street and Rhodes Parade in the south and West Street, Hilton Street, Box Forest Road and the Upfield railway line in the east. Prominent features include the private Northern Golf Club, a major retail district centred on the Glenroy railway station and the Northern Memorial Park extension to the Fawkner General Cemetery. Glenroy Football Club, an Australian rules football team, competes in the Essendon District Football League. The club was founded in 1946. Golfers play at the course of the Northern Golf Club on Glenroy Road. Glenroy is home to the Glenroy Cricket Club, who compete in the VTCA. The club shares their home ground with the Glenroy Football Club and is located on the north-east corner of the Northern Golf Club, on Glenroy Road. Glenroy is home to professional track star Mina Eskander. Fawkner is a suburb of Melbourne, Victoria, Australia, 12 km north of Melbourne’s central business district. Its local government areas are the City of Moreland and the City of Hume. The major portion within the City of Moreland is bounded by Merri Creek on the east, Sydney Road on the west, the Western Ring Road on the north and Boundary Road on the south separating the suburb from Coburg North. The smaller portion within the City of Hume extends north to Camp Road and Mahoneys Road. The main commercial areas in Fawkner are the strip bordering Sydney Road, which is mainly automotive-related and light-industrial and the Bonwick Street shopping strip. There are a number of corner shops and small shopping strips dotted about the residential area. Bonwick Street offers a wide range of shops including Italian cuisine as well as cafes. Fawkner has three major reserves: Charles Mutton Reserve, home ground for the Northern Saints; Moomba Park, home ground for Moreland United; and CB Smith Reserve, home ground for the Fawkner Blues Soccer Club. There is also significant open space along Merri Creek. Only three kilometres from the heart of the city, Albert Park is popular for a range of activities like dog walking, jogging, cycling, sailing and rowing. Apart from the lake itself, other attractions include sporting facilities, ovals, playgrounds, restaurants and a five kilometres of walking and running track. Enjoy a barbecue or picnic with the family. Hire a boat and explore the lake. Walk, cycle or jog around the track, past green lawns and playing fields. Enjoy watching the colourful sailboats on the lake and take in the magnificent views of the city skyline. Sporting facilities include a golf driving range, gymnasium and the Melbourne Sports and Aquatic Centre. Parks Victoria acknowledges the Aboriginal Traditional Owners of Victoria – including its parks and reserves. Through their cultural traditions, Aboriginal people maintain their connection to their ancestral lands and waters. Further information is available from Aboriginal Affairs Victoria AAV and Native Title Services Victoria. Stand still and watch as Melbourne’s oldest suburbs change in front of your eyes; with leafy streets and their heritage buildings restored to house chic boutiques, cafes and restaurants. Start the day with a lazy brunch on Clarendon Street and Dorcas, Park and Bank streets. Consume caffeine at St Ali and The Kettle Black, and indulge in daybreak decadence at Chez Dré and Bibelot. Stock up on fresh produce at the South Melbourne Market for a picnic by the seashore or Albert Park Lake. Browse specialty shops along Coventry Street and stop by the Australian Tapestry Workshop in Park Street. After dark, experiment with the multisensory menu at Lûmé or schedule wine time at Smalls and Bellota Wine Bar. Make your way to Albert Park Lake. Jog or cycle around the lake or join the locals sailing on the water. Join the party in March when the surrounding roads are transformed into track for the Australian Formula 1™ Grand Prix. Swim, shoot hoops and swat shuttlecocks at the Melbourne Sports and Aquatic Centre, and up your handicap at the championship public golf course or Albert Park Driving Range.